Well hey, posts two days in a row! 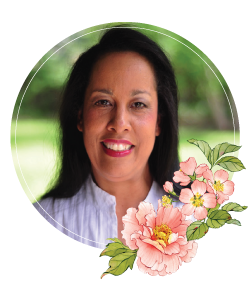 I’m excited today to share new stamp sets from JustRite Papercraft and you’re gonna love the sweet handwriting style of the set we’re using today – it’s called Grand Handwritten Sentiments. It has some unique sentiments and you know we’re always looking for sentiments that sound like us. I think ‘How are You’ and ‘Miss You’ are my favs – I send that kind of note all the time but I crumbled and added a Birthdays Card to the stash because I’m always in need. Can I officially say that the purple slate color (at least that’s what I call it) has found a way into my heart? I don’t know the manufacturer but it’s a lovely vintage looking shade and worked for the romantic feel I was looking for. This is a simple layered card with a 5-1/2″ x 7-1/2″ card base, matting layers of purple slate and cream followed by a digital paper which I enlarged with Photoshop. Spellbinders Regal Frame adds a gracious and elegant layer that I threaded my bow through. I stamped my sentiment and finished off with the filigree piece from Spellbinders A2 Tranquil Moments and a couple of pearls. You can see the entire JustRite Papercraft release HERE. And don’t forget, the other ladies listed below have worked up samples for the current release too! (Squeal) Gorgeous card, Becca! There is absolutely nothing that I don’t love about this card. And the bow…………ahhhhhh! I am thinking you folded several layers of the ribbon & then wrapped the middle piece around it? Lovely, lovely, lovely. Thanks so much for the tutorial on the flower – can’t wait to try it. Thanks also for the link to the DP from Etsy. Could this be also where you found the background paper for your previous design on Feb. 12 “with love and a winner”?? Breathtaking! Lovely! I have a card to do for a friends 95th birthday – this should suffice! Becca, I think some people do not know about your bow maker. Best investment I ever made. With the CD that came with it, ANYONE can make BECCA BOWS!! Incredible. Are they still available? Everyone should have at least one LOL!! You have the most beautiful and delicate looking cards. I love them! I think the hand written words on the card are great. I saw there is even a Digital Cut SVG File for these stamps. Could you tell me what is the best machine to get to use these digital files on?? I’m at a loss as to what to use! Thanks for your wonderful creations! Hoorah! I have these Dies, not the Sentiments though! I will enjoy trying to copy your work! Thank you for the inspiration Becca! 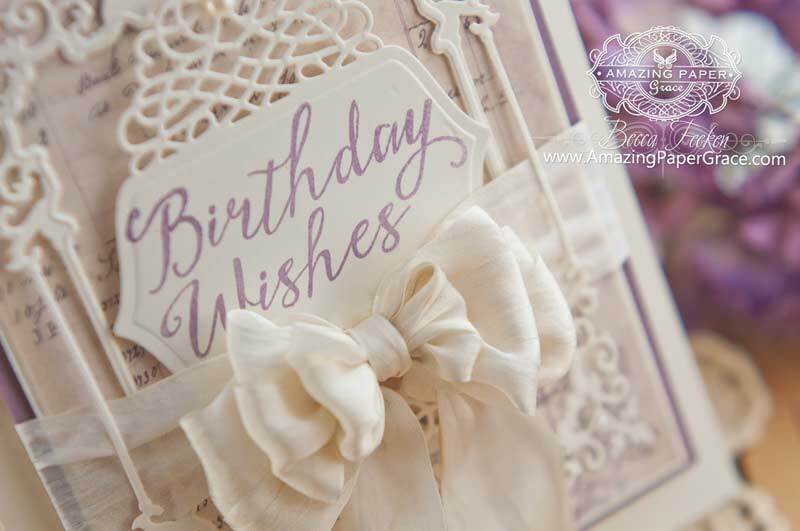 Love the stamp, love the colours, love the card and LOVE that bow! Elegance personified, you and the card. I love it. Gorgeous card, love the design and layout. These sentiments are fabulous, love the m all, definitely a must have. Absolut gorgeou as always Becca, and so was yesterdays card as well, but unfortunately I could not see the You Tube yet, as I have only my Tablrt with me here to the US, so that will have to wait till we get back home late April. But at least I am able to see your wonderful cards on here, while we are over here. Morning Becca, A stunning card, very regal looking and purple is my favourite colour, so a definite ‘yes’ from me haha. I adore these grand sentiments, they are going to top of my ‘Wish List’. I must watch your CD again to remind myself how you have made this fabulous bow. Easter is one of my busiest times at Church, and Saturday is brass cleaning, and decorating of the Church, before the blessed Easter Day Service. 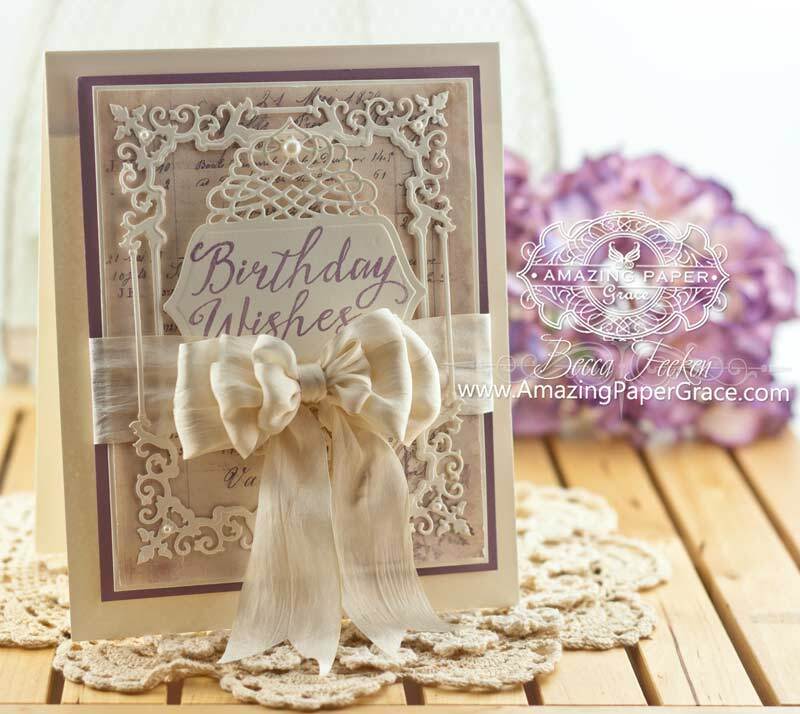 YES, the sentiment stamps are BEAUTIFUL – a new MUST-HAVE, LOVE your DELICATE layers and GORGEOUS bow too!!! Hi Becca, What a lovely card and I enjoyed watching your video for making your scrunch flowers. I was on Just Rite blog and saw you had a card, so checked out your blog and saw that I have not been getting any of yiour creations since Feb.12/15 so don’t know what has happened to receiving your blog, I did not know it had been so long, for I know some time your are busy with other things or away, hope I will be receving your blog again for love your work., if not will have to check your blog every day. the hand written sentiments were made for your creations.!! I like your bows too. the colors and dies also go good together. Nice job all around.